Anyone who plays video games has been in this situation: you're struggling to pass a level and take down a foe in the game, and you're determined to gain as much in-game experience as you can without stopping. You are a machine! Your fuel is your passion for the game, and your friends and teammates in your headset urge you on. But at some point in the hours upon hours of playing this video game, you feel a pit at the bottom of your stomach. You're hungry. "Argh! Just another level and then I'll go make something to eat," you promise yourself. But then, when you go AFK to get something to eat (or as non-gamers would say, 'away from your computer keyboard'), your video game character is attacked and dies while you've gone to grab a snack. 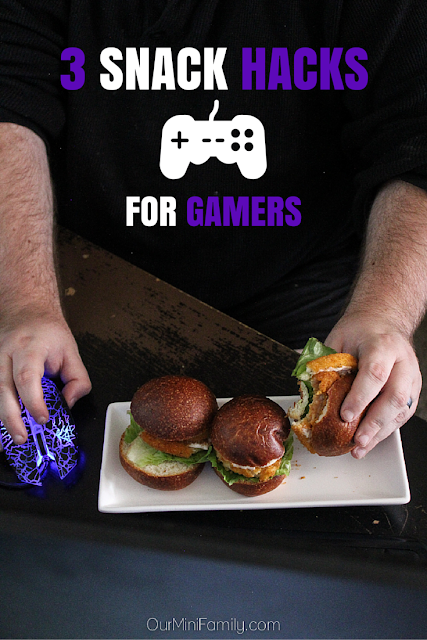 Eating and gaming typically don't go well together. Gamers agree that having to prepare a snack and then try to make time to sit down to eat isn't conducive to wanting to make real progress in the video game's storyline. 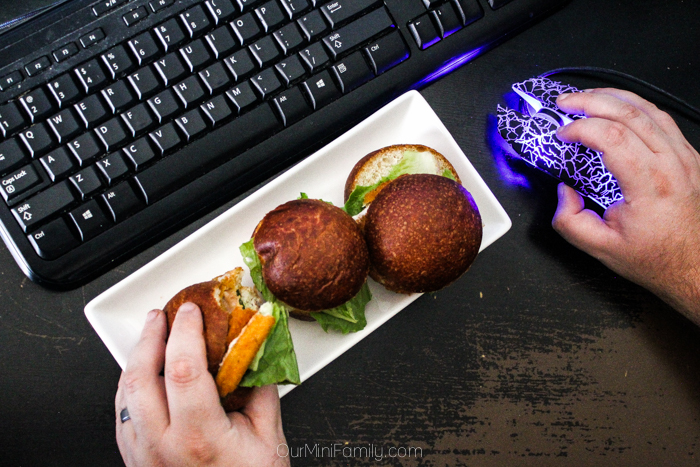 Well, Adam and I are going to talk a little bit about some solutions for this problem, by sharing some of our favorite snack hacks for gamers (and our sliders recipe)! We will also be talking about how you could win $10,000 through the Farm Rich recipe contest, too! 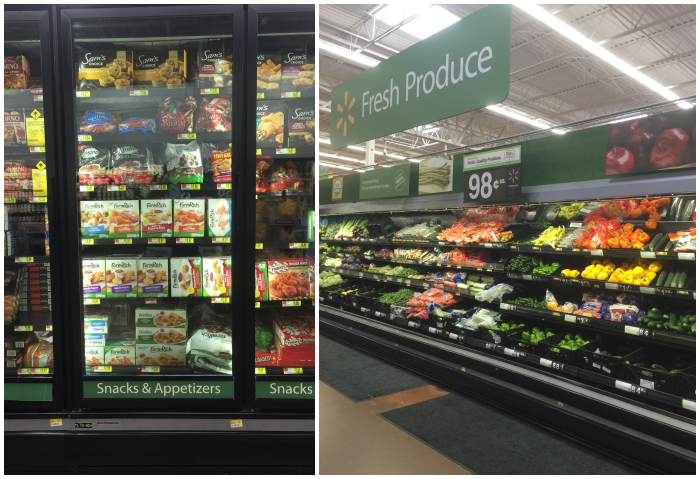 Are you ready to hear our video gaming snack hacks?! If you're hoping to spend an entire day playing a video game, spend some time before you turn your console on and prepare some food. If Adam and I are going to be immersed in a game for the day, one of us will cook one or two chicken breasts ahead of time; after the chicken is cooked, we'll place it into a food container or plastic bag and store it in the fridge until we're ready to eat it later. Some snacks are much easier to make on the fly than others--having a healthy protein pre-made will save you on time and hassle! I'm a fan of chocolates and sweets, but the truth of the matter is: consuming large amounts of sugar will result with you feeling tired. Things like energy drinks and candies, considered normal snacking food in gamer culture, will start you off on a sugar high; once your body has consumed the sugar you will notice a spike in energy (i.e. a 'sugar high'), but then afterwards you will feel the long-lasting effect of tiredness and hunger! So as much as you want to grab something sweet while you're destroying n00bs (or for non-gamers, 'mercilessly killing beginner players in the game'), you should think twice and grab a snack that will be more substantial in the long run. Make something hearty you can hold with one hand! When I'm reaching for something to snack on while I'm playing my favorite video game, I want something that I can prepare quickly, and then take back with me to eat while I continue to play. Finger food is key! 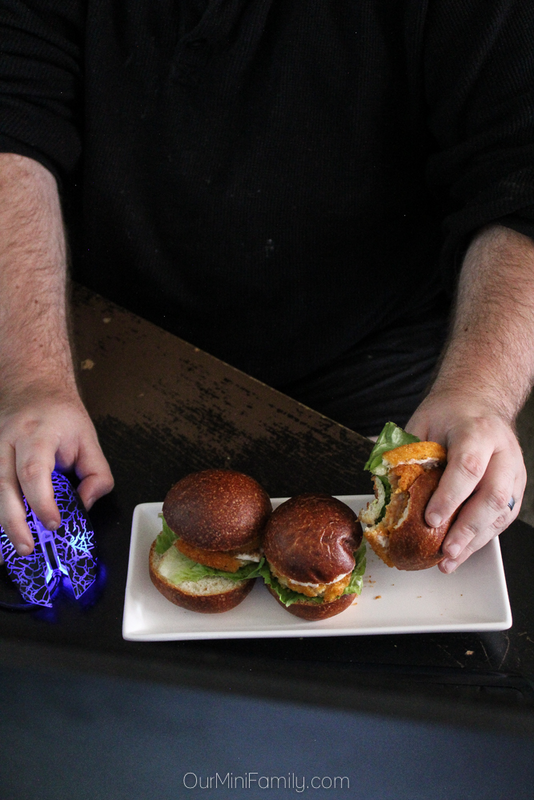 If you can find something to eat with one hand that isn't messy, then you don't have to continue to pause the game to finish your snacks! 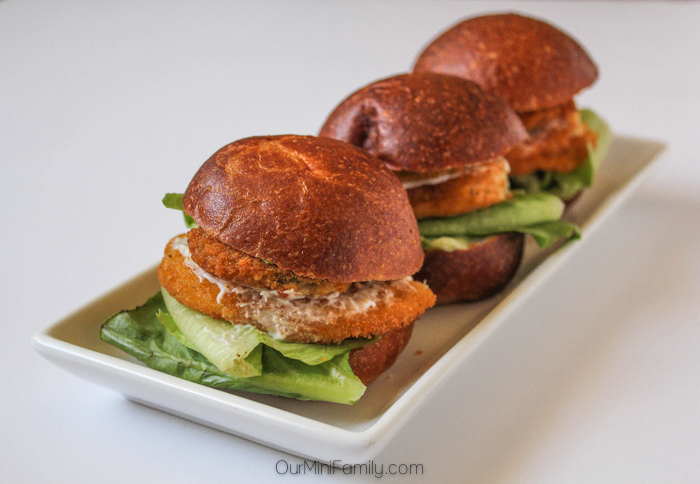 One recipe I like to make for me and Adam when we're having a video game day is "Crispy Dill Pickle Chicken Sliders!" Slice your small bread rolls into two halves to make your sliders. 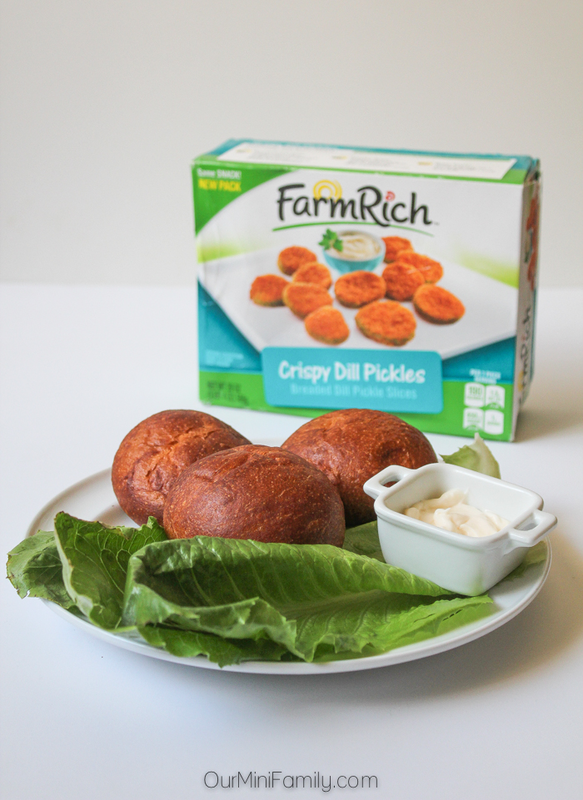 Layer your chicken, Romaine lettuce, and Farm Rich Crispy Dill Pickles on the bread. Add a small amount of mayo. Enjoy your snack and keep on slaying enemies like the boss that you are! Keep on gaming! 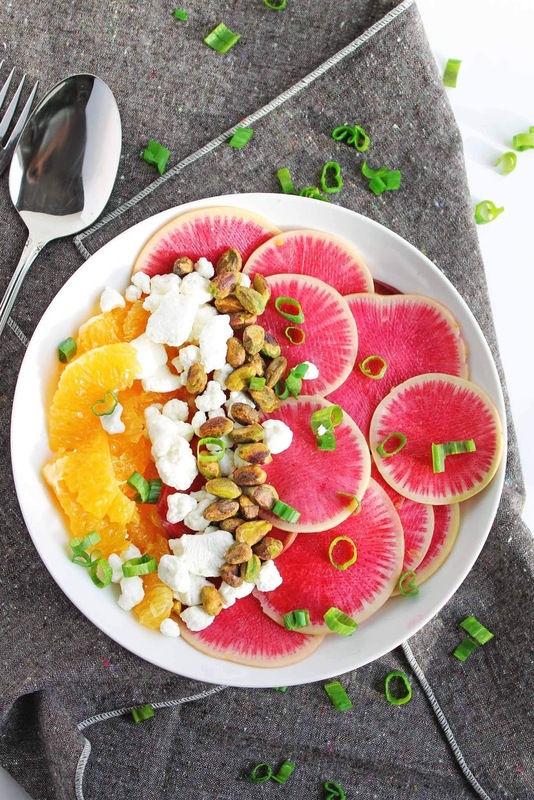 Do you enjoy coming up with recipes, too? 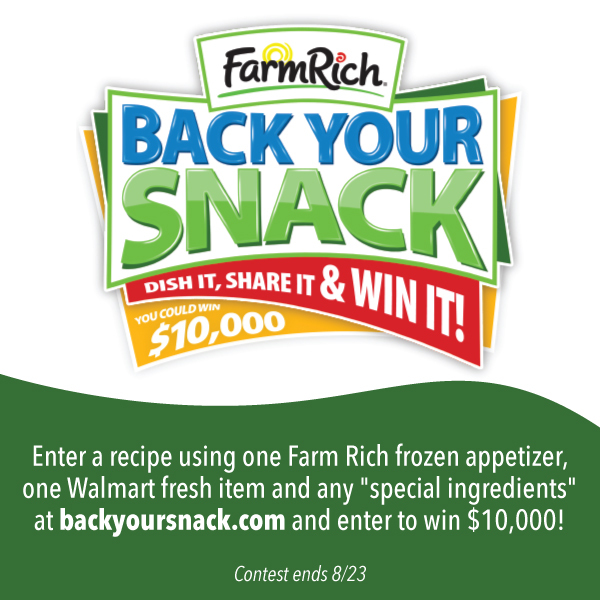 Farm Rich is hosting a special recipe contest--your goal is to come up with a recipe featuring at least one Farm Rich product, and also one Walmart fresh item. Your recipe should be less than 6 ingredients total, and if your recipe is chosen, then you win $10,000! 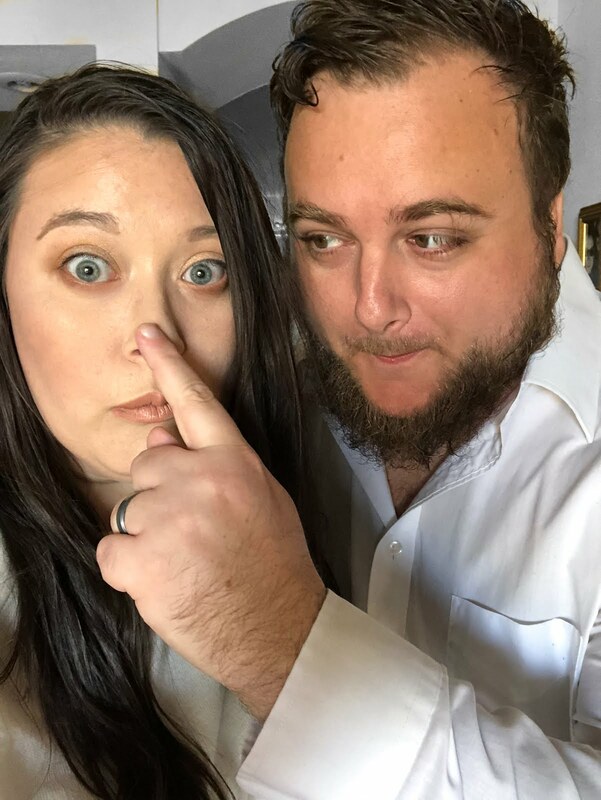 Click here for the full rule book. Recipe submissions run from now until August 23, 2015. Learn more and submit your Farm Rich inspired recipe on this website! Be sure to also see if there will be an upcoming demo of the semi-finalists' and finalists' recipes in your area--check out the list of demo stores from 9/19-9/20, 10/9 and 10/11 here. Good luck! Share this article with a friend who loves playing video games! These sound like great snacks for gamers. My brother would love this recipe. It is an interesting spin on sliders! These sound delicious and I think they would make great afternoon snacks. They sound delicious, my son would love them for his gaming sessions. Awesome! I hope you make them for him! These sliders sound so delicious! I sometimes forget that the best tasting recipes are the simplest ones to prepare! Thank you for sharing this...I can't wait to try these crispy pickles! The crispy pickles are my favorite part! And you're totally right--I get caught up in conning up with intricate recipes sometimes, and I forget that sometimes a slider tastes just as good as something more involved! I'm not a gamer, but these look great! What is it about sliders?? They always look so gooood! I love this recipe. I am going to try this one. Thanks for sharing the sliders. This would be a great recipe for football season, tasty and simple. These sound like a great snack to make for the next game. Thank you. I'm not a gamer, but I'd love to make this recipe. Thanks. MY fiance and son would love these! Esp with the pickle. And easy size to hold for my little.